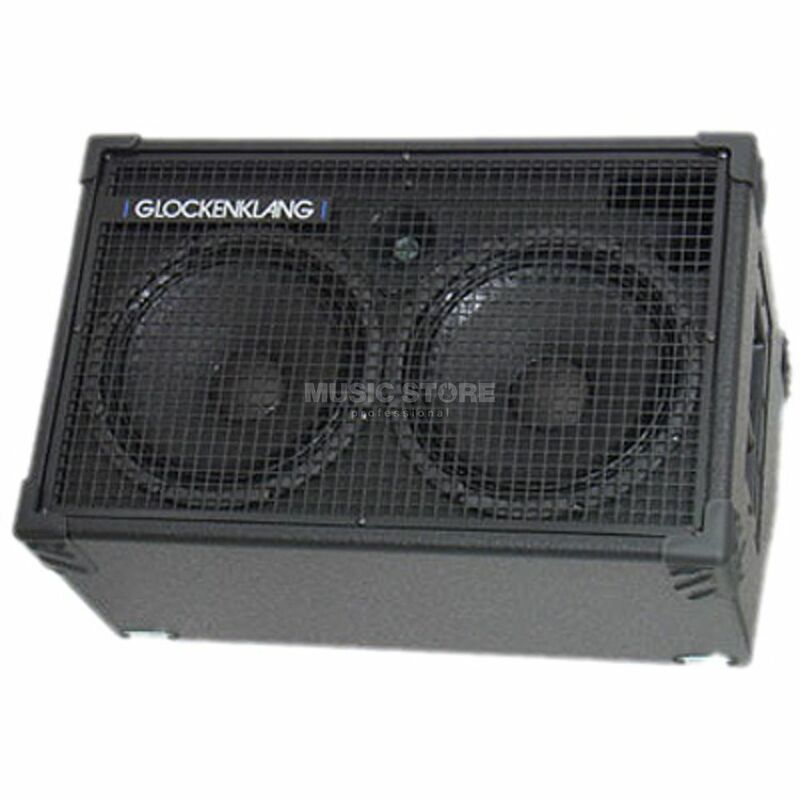 The Glockenklang Duo 2x10” Wedge 8 Ohm Bass Guitar Amplifier Speaker Cabinet is ideal for use at small venues and at rehearsals as either part of a larger rig or as a front of house monitor. The Glockenklang Duo 2x10” Wedge is equipped with a pair of custom designed 10” Volt speakers that are joined by a single adjustable tweeter. This setup is rated to handle 400 Watts at 8 Ohms provides a remarkably even frequency response across its entire 40Hz – 18KHz range, with smooth highs and warm lows being particular highlights.